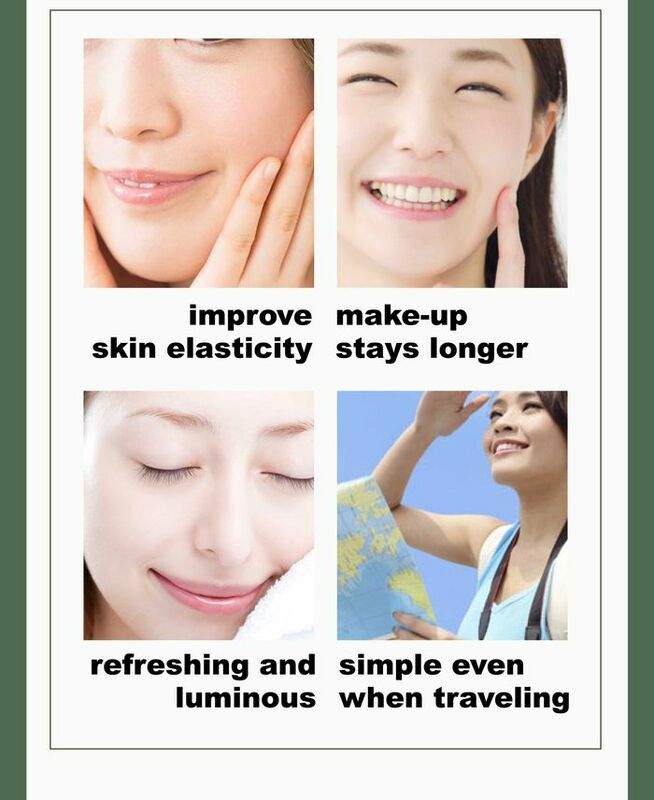 Super Brightening Massage Pack_SkinCare_SODA BEAUTY_AGENCY | Mitsubo Enterprises Co., Ltd. 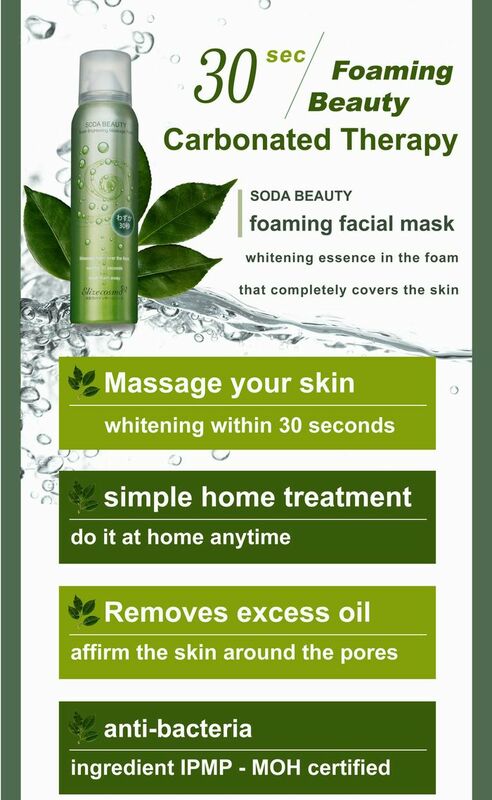 Contains vitamin C derivatives and patented whitening formula. 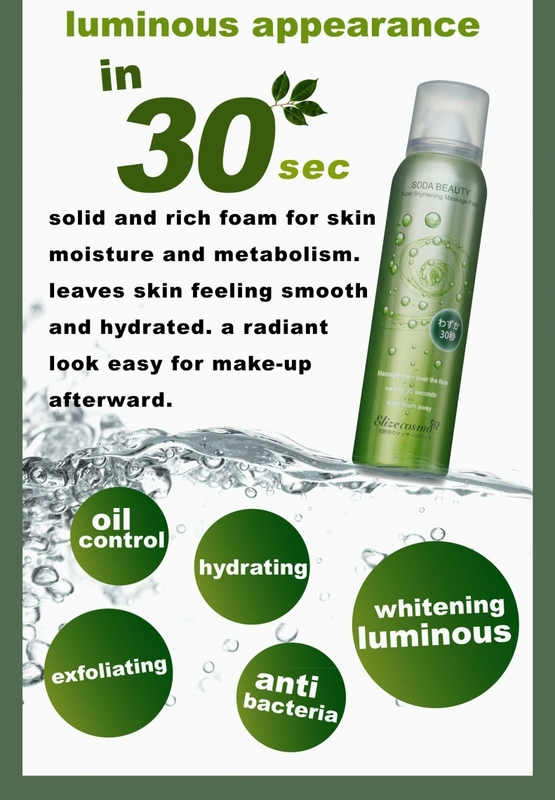 Emulsifies with carbonated foam to enhance the absorption of whitening essence for a more luminous look. 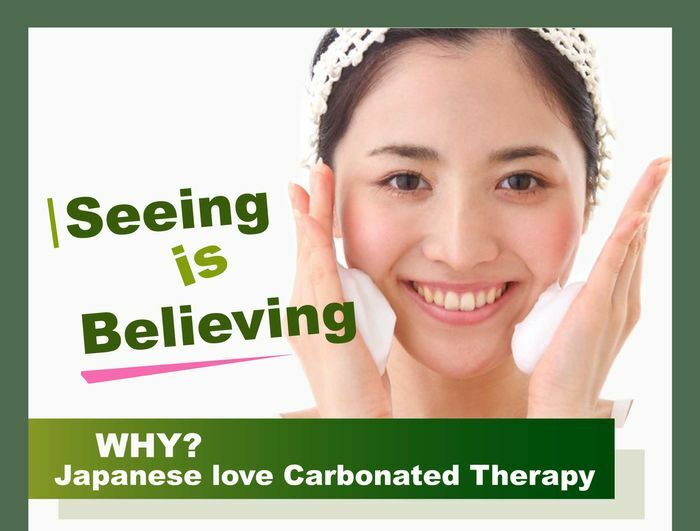 Latest Japanese technology of hyaluronic acids creates best moisturizing ability.